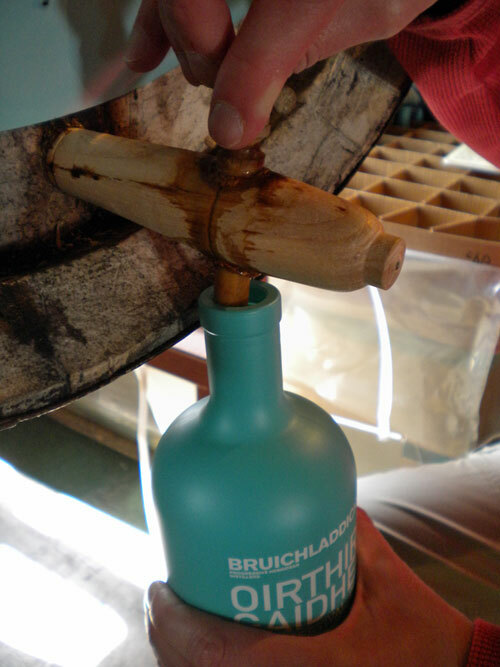 Yes, those are my hands, filling a bottle of Bruichladdich straight from the cask back in 2009. While I filled the bottle (which I still have) in June this was the festival valinch, the cask was empty soon after. It's not the one I'm drinking tonight (I'm not planning to open that bottle for a while), instead I'm having a wee dram of the Bruichladdich Black Art Jim McEwan is tasting in this video. A most enjoyable whisky! With that I wish you a great weekend! As usual I'll post a larger version of the picture on the Islay Pictures photoblog on Saturday morning. For now all that's left is to say good night!